Folks – this is going to be a quickie because frankly, Freeperville is caught in an endless loop. I might as well just take last week’s Manila shooting “Obsession” and just set it to endlessly repost once a week. Police are investigating a shooting in Orlando Monday morning with “multiple fatalities,” officials said. If it’s not “terror” you should review drinking a bottle of bleach. Several Freepers post what it really is (disgruntled ex-employee revenge killing spree), but I don’t think the “Amish” posters are reading them. Multiple local media outlets reporting it’s an employee gone postal, but no official confirmation on that. Even an employee gone postal could be a jihadi. 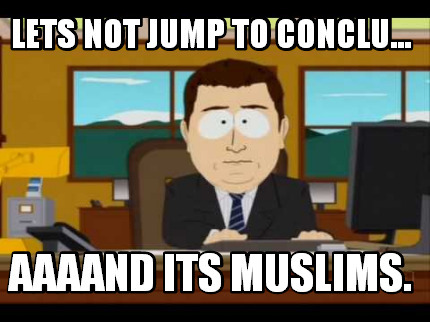 I’m betting it’s workplace violence, but either 1) the shooter has a Middle Eastern surname, or 2) the shooter had a lot of anti-white posts on his Facebook page that need to be cleaned up before they reveal who it was. Or it was just a white guy who went nuts. It does happen. From time to time, yes it does. No, this is run-of-the-mill mass murder. Not everything is “terrorism”, and I wish we’d stop abusing that term. Good luck with that. I’m glad that one Freeper is taking a stand against racism, though. I’m betting white guy, not just because it’s most common here for MM, but also a) car shop and b) fired in April, meaning he’s taken some time to mull it over. Blacks more likely to go off immediately. I’m going back to bed. Screw this. Wait, the threats are coming from inside the country!!! obama could have fixed this with DRONE STRIKES on gun shows TERRORIST ARMS DEPOTS. But he didn’t. even. try. Sad.